1973 born in Seoul, South Korea. Mina Cheon (aka “Kim Il Soon”) is a Korean-American new media artist, scholar, and educator. Since 1997, she has been living between Baltimore, New York, and Seoul, Korea. Her debut in the United States was with Ethan Cohen Fine Arts at Art Asia Miami in 2012. 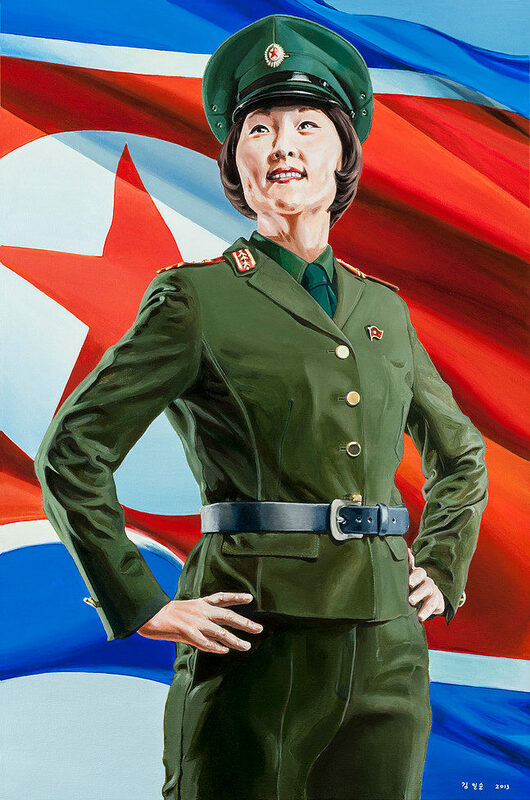 Artist Statement: Her name Kim Il Soon was bequest to her by the Dear Leader. She is a painter of the nation but also a Lieutenant Colonel Navel Commander, citizen, farmer, and mother. She is happy because she can fulfill her duties as a devoted citizen of the Work’s Party and paint national propagandas of North Korea.